All pictures come courtesy of Pink Cigar's press kit from their manager Tommy Kennedy. There is an exciting new hard rock with a punk edge band from London, UK, called Pink Cigar that I think you guys should definitely be checking out. They are coming to the US soon, so now would be the perfect time to do so! 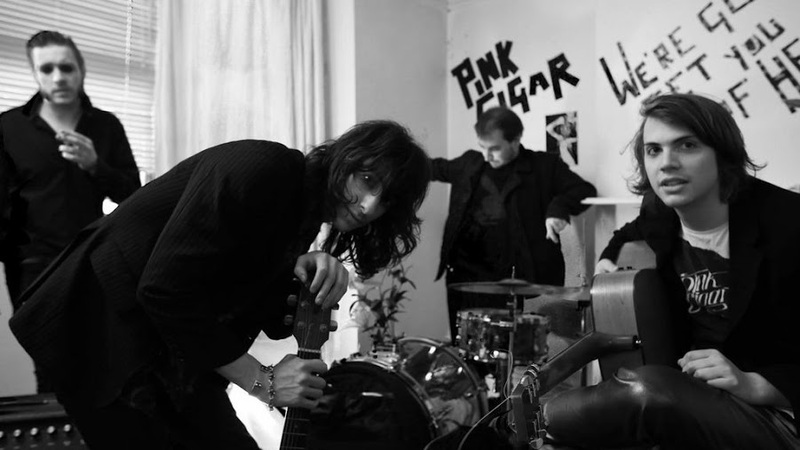 Thundering their way through their hometown of London, the UK and on through Europe via a select number of festivals, Pink Cigar have thrashed in the face of the otherwise predictable roster of bands that have emerged from the city’s east end. Bucking the geographical trend of attention by sticking to their Ladbroke Grove stomping ground in the west, this punk rock n roll quartet wouldn’t call themselves entirely compliant with the supposed formulae currently doing the rounds. others. 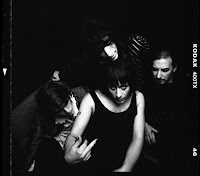 The band’s firecracker charisma and the undeniably striking look irrepressibly turn heads – and that’s before they’ve had a chance to play a note. 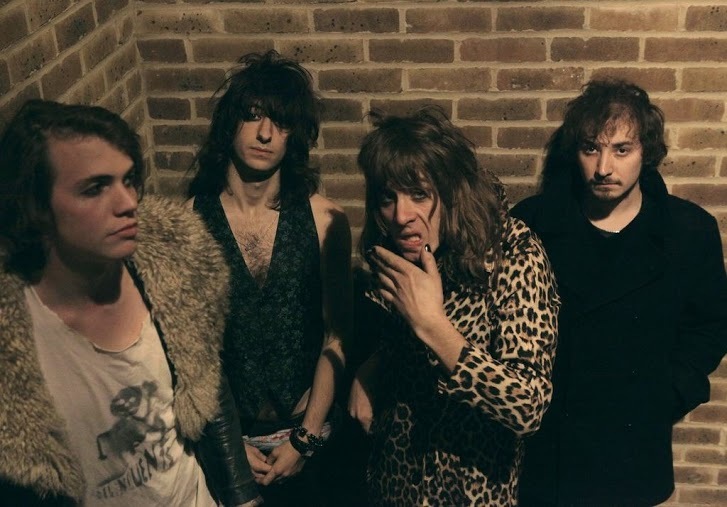 With self-cited influences such as Iggy & The Stooges, The Clash and a dusting of Aerosmith, it’s easy to see how this heavy rock n roll punk outfit incorporate spectres of their predecessors, while staying fresh by moulding their own distinguished sound and unique lyrics. 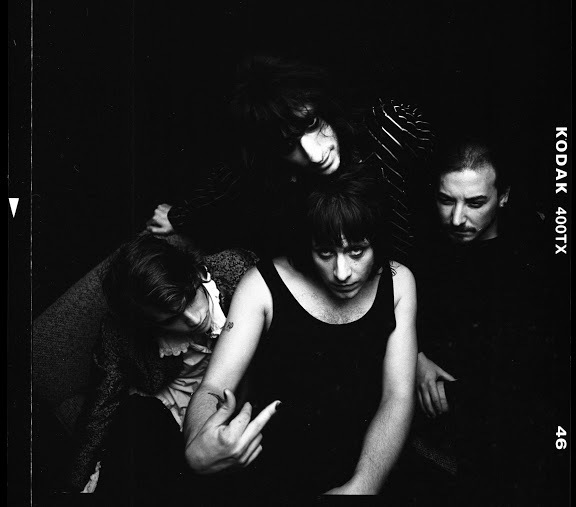 Scaling a chart that marries Glam rock (think T.Rex, The Sweet), the spirit of 77 punk (Pistols esq) and the driving guitar-led glittery orgasma of the New York Dolls, Pink Cigar’s distilled but loaded rock ’n’ roll equipoise at times gives way to patent bluesy undertones, while at the same time, retains a poignant tenderness. So be sure to check them out when they come to your town. And, I will be at least one of their NY shows, so if you're there you will see me, very likely with my site's crew, of my Master's Minions.